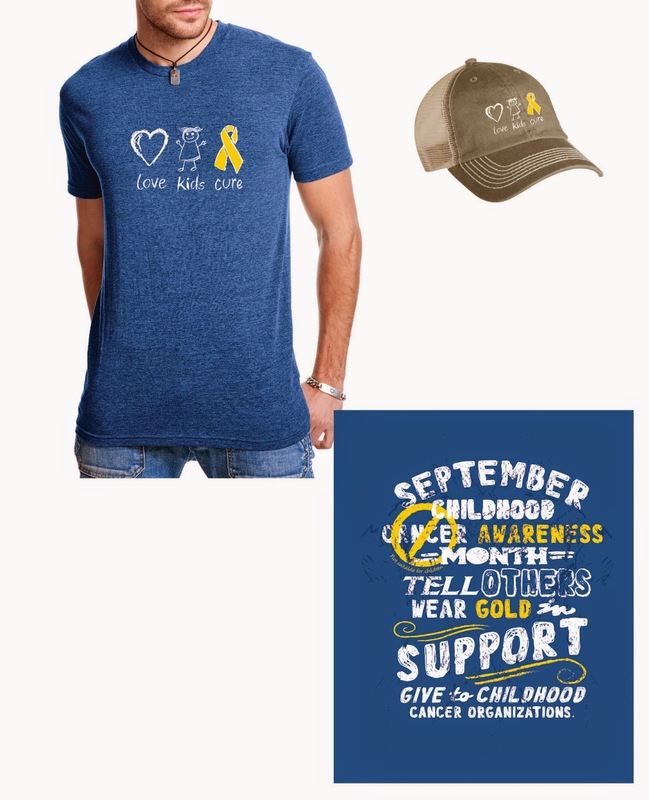 1) Pre-order the t-shirts and caps using the Go Gold in September link. By pre-ordering, it allows me to place an order for accurate quantities with my vendor, thus I can avoid getting stuck with extra inventory that I cannot sell. Plus, if you pay up front, I don't have to chase you down for a check later like some sort of vicious bill collector. It's a win-win. 2) Pay at Go Gold In September via PayPal. Super easy. 3) The merchandise will arrive at your door by the end of August (do not expect it sooner, as it will take extra time for me to pack and ship the merchandise to you after I receive it from my vendor). 4) For those who do not want to buy gear or who would like to make a flat monetary donation in addition to the merchandise, please hang tight until September. Bailey is going to be a CURE kid for that month and you will be able to make a tax-deductible donation on the CURE website in honor of Bailey (and the many other kids who have faced this battle).